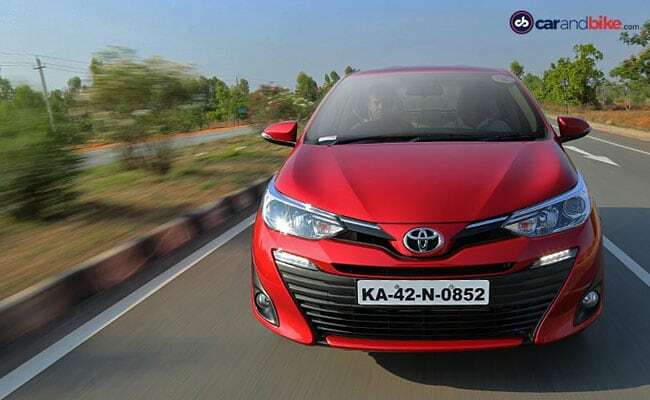 Toyota has said that by the end of this month over 4000 units of the Yaris sedan were dispatched to the dealerships to meet the customer orders. Toyota Kirloskar Motor sold a total of 13113 units in the domestic market in the month of May. The company sold a total of 13940 units and this includes the 827 units of the Etios series which were exported this month. Compare these figures to May 2017 and you see that the company had sold 10914 units and exported 1425 units of the Etios series. Toyota has thus managed to grow by almost 20 per cent in terms of domestic sales. Commenting on the sales performance, Mr. N. Raja, Deputy Managing Director, Toyota Kirloskar Motor said, "We are happy to have achieved a double digit growth of 20% in the domestic sales in the month of May 2018. Along with the segment leading products Fortuner and Innova Crysta, Yaris has been a significant contributor to the overall positive sales growth as compared to the same period last year. We would like to thank our loyal customers for their relentless support and confidence that they have on Toyota products." The company had recently launched the Yaris compact sedan and it has received a good response. The company has said that by the end of this month over 4000 units of the Yaris sedan were dispatched to the dealerships to meet the customer orders. It had already started production of the compact sedan last month so as to enable it to match the supply to the customer demand and reduce the waiting period as much as possible. Toyota seems to have received the much needed momentum from the Yaris Compact sedan and we wait to see how well it does when compared to its competitors.